The John Muir Award encourages people of all backgrounds to connect with, enjoy and care for wild places through a structured yet adaptable scheme. It encourages awareness and responsibility for the natural environment, in a spirit of fun, adventure and exploration. 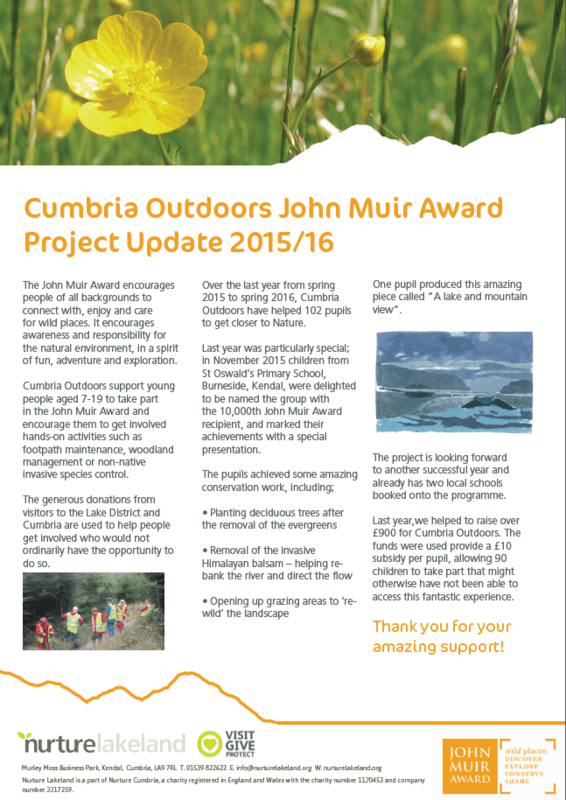 The Award is the main engagement initiative of the John Muir Trust. 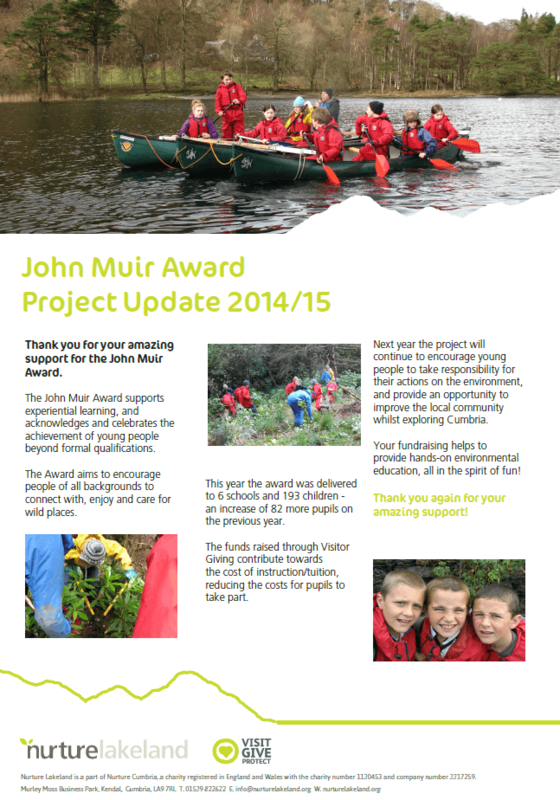 You can find out more on the John Muir Award website. 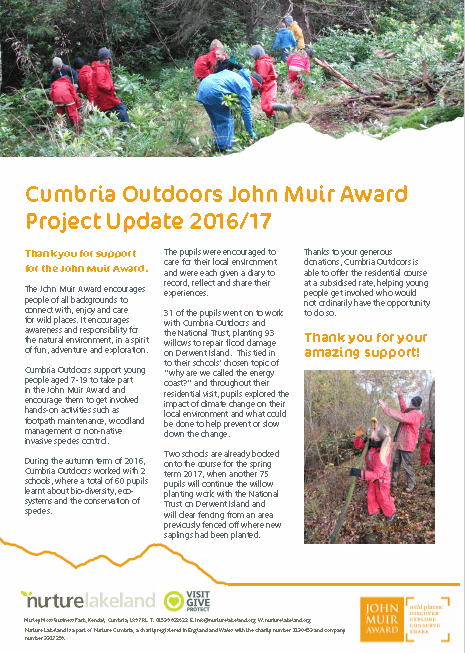 Cumbria Outdoors use the John Muir Award with young people aged 7-19. Through activities to enjoy, explore and understand the outdoors they raise awareness of the importance of conserving wild places.  As part of this the young people take responsibility for the environment through hands-on activities such as footpath maintenance, woodland management or non-native invasive species control. The Award isn’t competitive but challenges each participant.